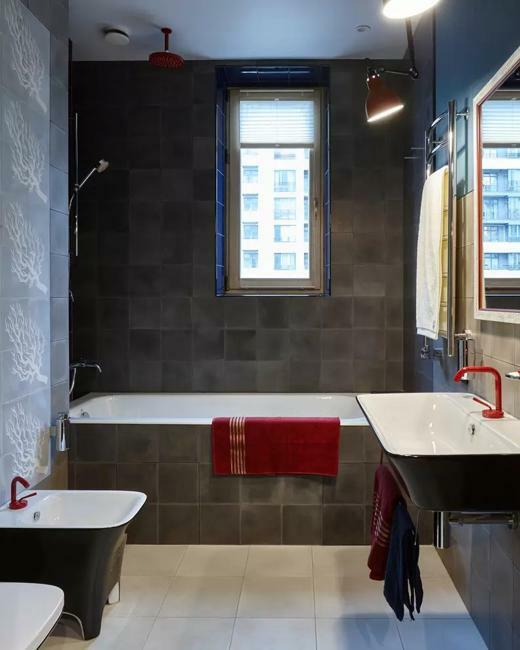 Colored bathroom fixtures, beautiful wallpapers, stylish decoration patterns, and colorful accents are the latest trends in modern design which bring back a retro-modern vibe into home interiors. 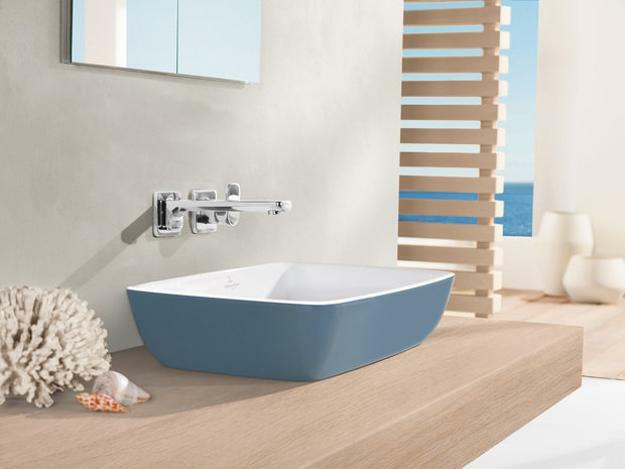 The trends in decorating with color introduce stylish hues elegantly by adding a few colorful accents to bathroom designs. Pale pastels, diluted blue, green colors are the beautiful choices, but yellow and golden shades, light purple and dark reds are stylish, attractive, and fashionable also. 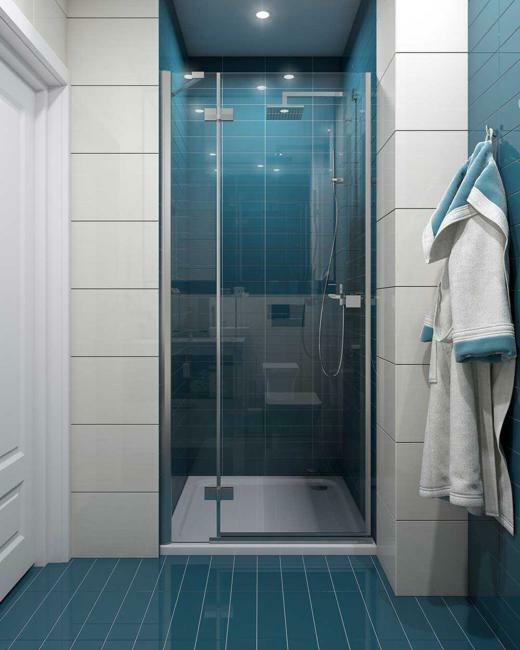 Pastels and matte finishes create peaceful bathroom design. 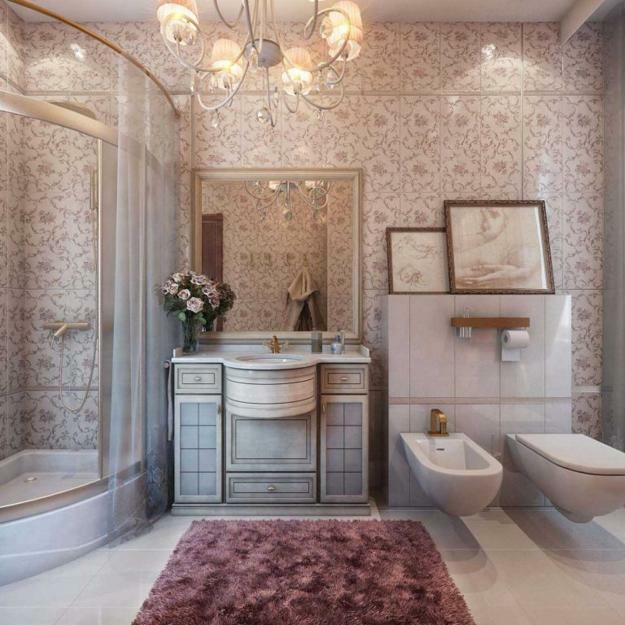 Wooden elements, unique details, and colorful accents without large glossy surfaces allow appreciating textures and soft bathroom colors bringing comfort into small rooms and enhancing them with a retreat-like atmosphere. 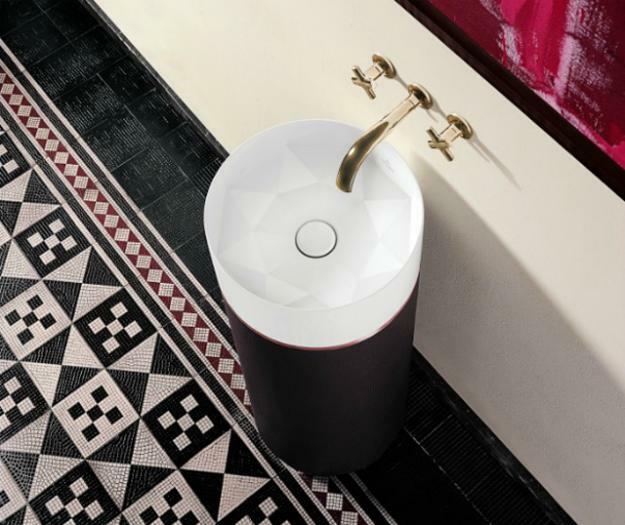 Accents wall designs, pastels as interior paint colors, wood accents, bright accessories work with matte finishes of metal details and create modern bathroom designs in 2019. 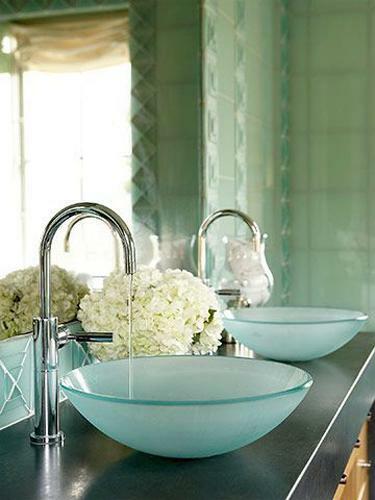 Light pastels of green colors bring freshness into modern bathrooms. Cool blue color tones look bright with white decorating ideas. Berry-red, deep purple, yellow color shades, and deep golden hues give personality and a warm feel to the modern room design. 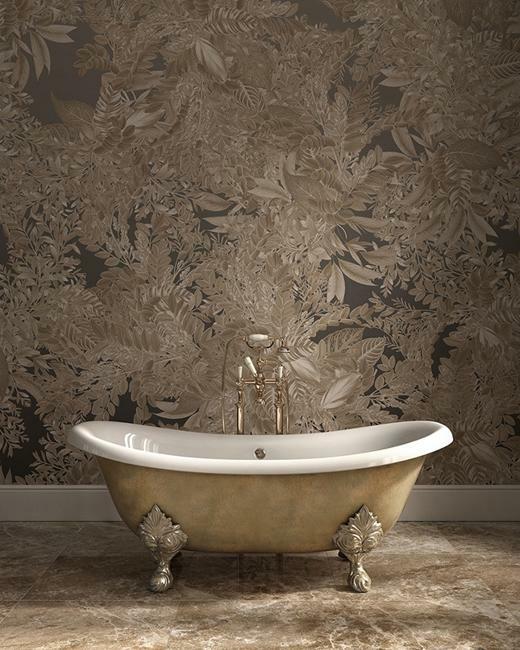 Waterproof wallpaper, interior paint, bath accessories, towels, shower curtains, colored bathtubs, and sinks offer numerous beautiful ways to add trendy colors to modern bathroom interiors in 2019. Black and gray color tones, and also beige accents look elegant and stylish in the small rooms designed in the minimalist style. 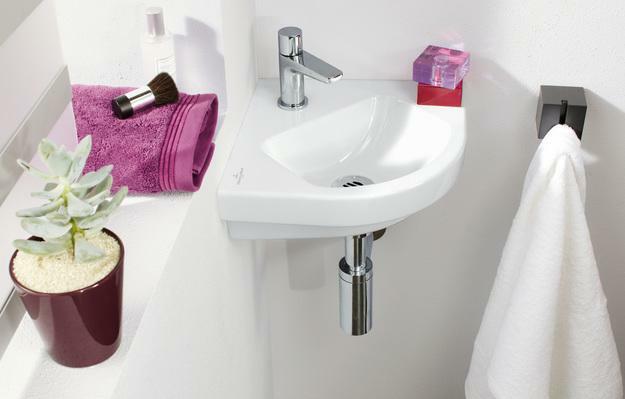 Bathroom color design calls for surfaces in neutral colors and eye-catching accents. 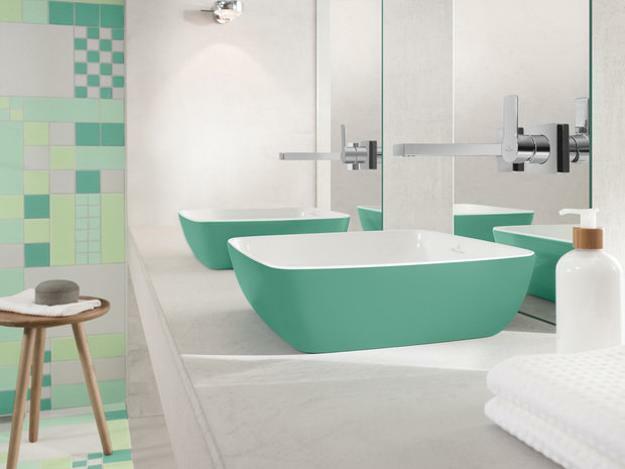 Colors are back in 2019, giving character and a retro-modern look to relaxing, spa-like bathrooms. Cool gray color tones, creamy shades, crispy white decorating ideas mix beautifully with matte finishes of metal fixtures and wood elements of the interior design. Clutter-free decorating, clean lines, modern shapes and decoration patterns enhance the comfortable, contemporary bathroom design. Minimal accents in your favorite color amplify the beauty of your small room. 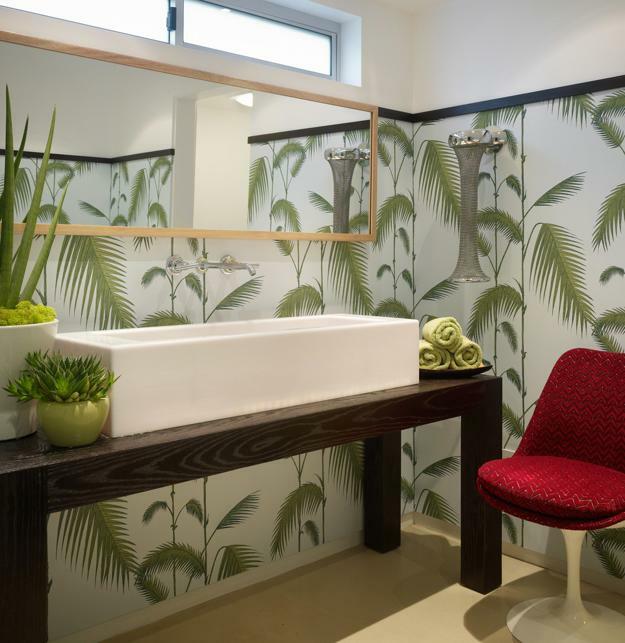 Accent wall design with modern wallpaper patterns inspired by the tropical forest themes and freestanding tubs in pastels, black, and gray colors are the latest trends for 2019. 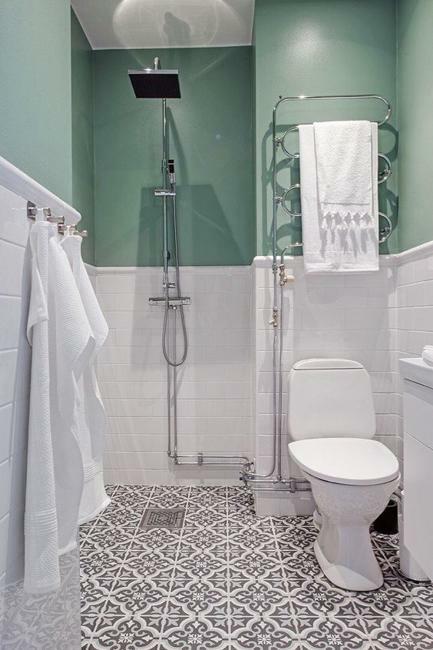 Bright hues can add stylish details and jazz up modern bathroom design. Walls and ceiling designs can be white or colorful. 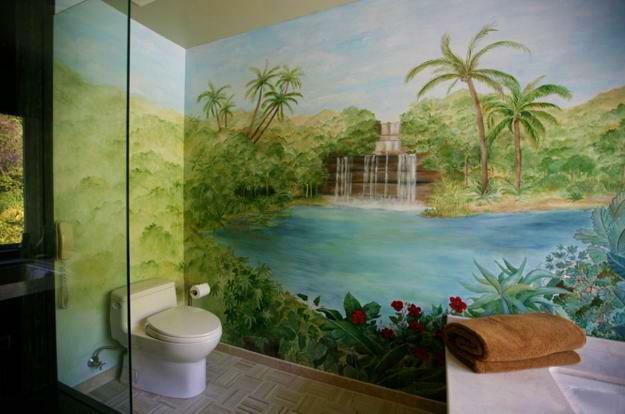 The tack is to challenge the traditional bathroom decorating ideas and enrich room color schemes. 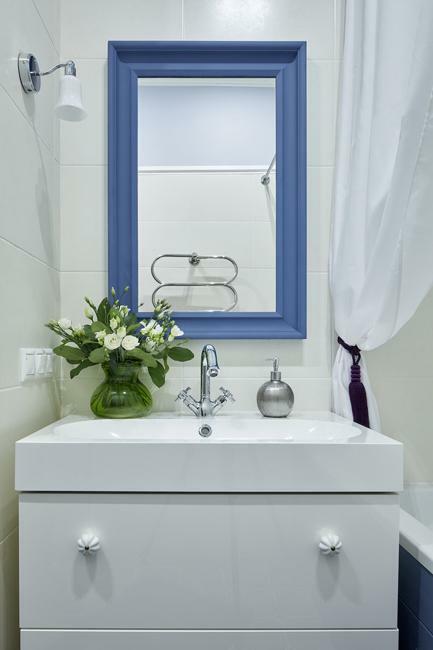 White bathroom fixtures and wall paint colors are timelessly elegant and bright trends in decorating the small rooms. 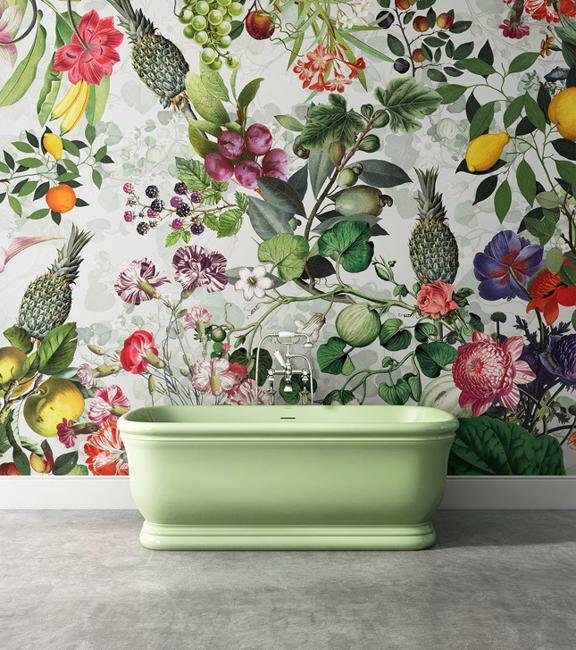 Using colorful accents is a no-mistake approach to add style to your bathroom and change the decor any time you want. 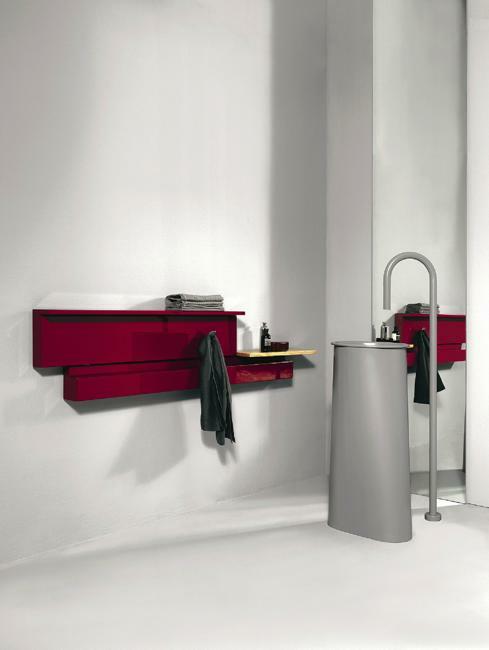 Check-out the Lushome collection of ideas for bathroom decorating with modern colors. There is no right or wrong way to enjoy your favorite hues, but the latest trends call for calm and peaceful accents which may stay modern for years. 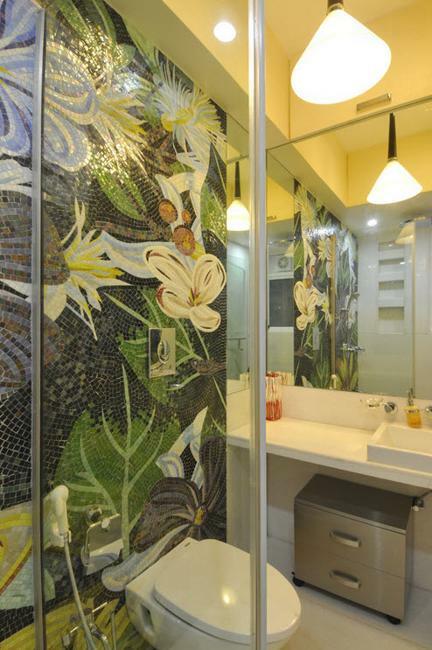 Choose what element of bathroom design is the best for your small rooms. Interior paint, modern wallpaper, colored fixtures, wood details or bright accessories offer a wide range of possibilities to jazz up your interior design. Gloss and Bohemian shine are gone. 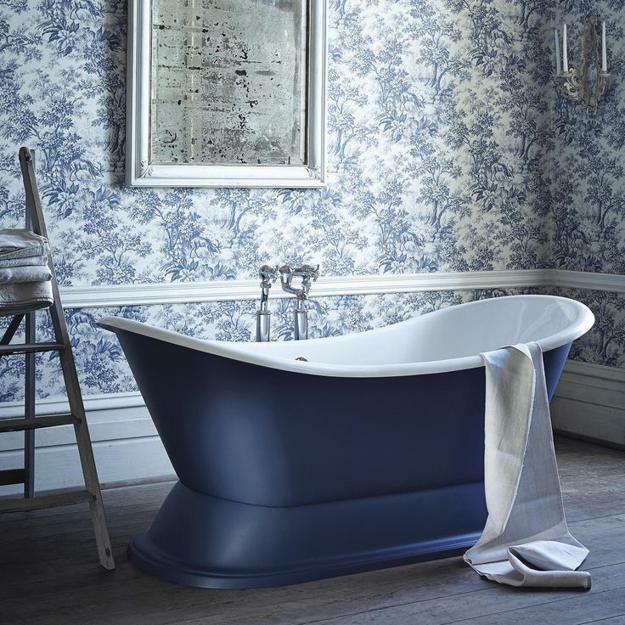 Calming, soothing color schemes are the bathroom trends for 2019.